These mini-tours are helping to introduce locals & visitors to Biketown’s rideshare system in combination with a scenic and informative ride around the city. No stranger to the tour business, Cycle Portland is celebrating 10 years of guided bike tours in Portland. 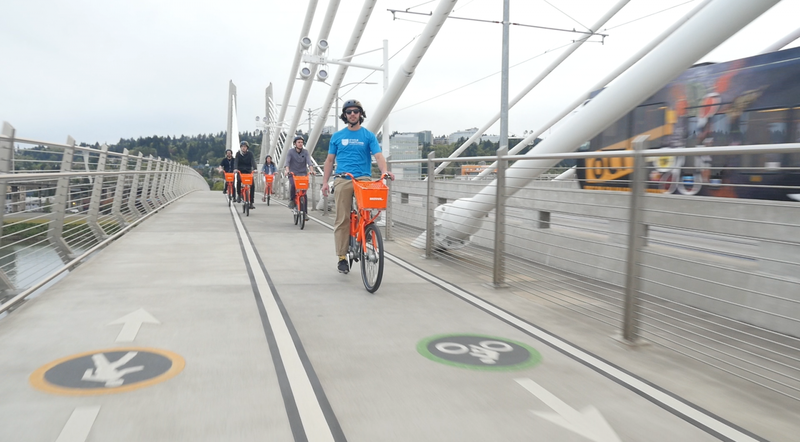 In an effort to increase ridership while helping newcomers learn best practices for cycling in the city, Cycle Portland is working with Biketown to feature a slice of Portland’s keystone bike infrastructure and offers a local perspective from the seat of a bike. At just over an hour, this excursion will allow participants to get the scoop on PDX, while allowing enough time after their ride to continue exploring on their own using Biketowns affordable Pay-As-You-Go plan. Riders will also receive a $5 discount on their Biketown rental in conjunction with the tour. 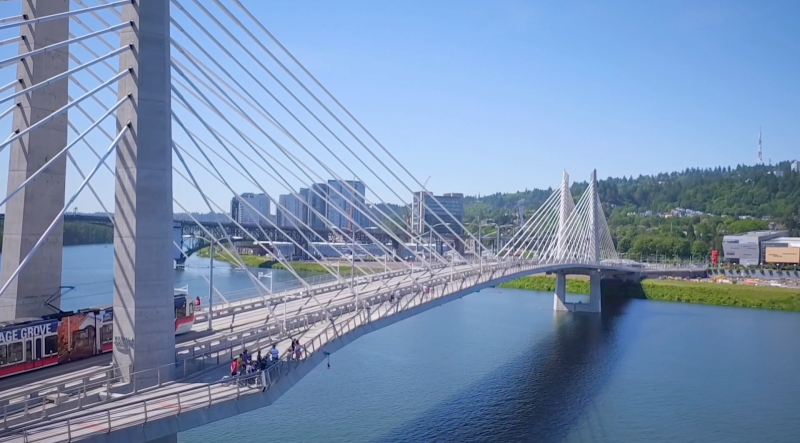 Covering the Tillikum Crossing, Vera Katz Eastbank Esplanade, and Tom McCall Waterfront park, participants can get a feel for riding using the city’s premiere multi-use paths, venturing briefly into the downtown historical district before concluding their tour. 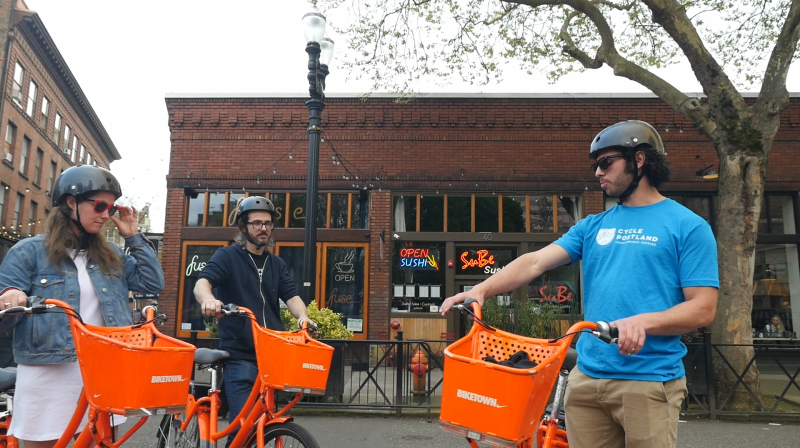 After a brief safety talk, these Biketown tours depart from the Biketown corral at SW 3rd (in front of Voodoo Donuts) and return just a few blocks away at Cycle Portland’s shop location. From there, riders can choose to keep their bikes and (included) helmet, or head off to their next destination with expert route advice from their guide.